Iphone VPN – Apple is a firm known for making stable, secure products that are highly desirable. Since the iPhone came on the market back in 2007, however, security issues have arisen on Mac’s iOS platform. Those concerns are making many users turn to a VPN for iPhone. Why? VPNs encrypt subscribers’ internet connections, highly anonymizing their online presence. As such, iphone vpn, data is highly secure and your digital footprint is taken care of. There is no doubt that the iPhone 7 is still at the forefront of the smartphone industry. So, what has changed? Why is security not the certainty that it used to be? Firstly, in 2017 governments everywhere are spying on Internet users. Snooping from intelligence agencies is at an all-time high, and iPhone users are choosing to use a VPN’s encryption to regain some digital privacy. Furthermore, fake apps that contain malware have become commonplace on the iStore. Hackers are locking up iPhones with ransomware, and there is an explosion of hacking worldwide. Finally, the San Bernardino case proved that there are people out there that can break into an iPhone. That all adds up to quite a menu of reasons to turn to a VPN for iPhone to protect yourself online. In addition to privacy, iPhone users are interested in VPN services for unblocking restricted content online. 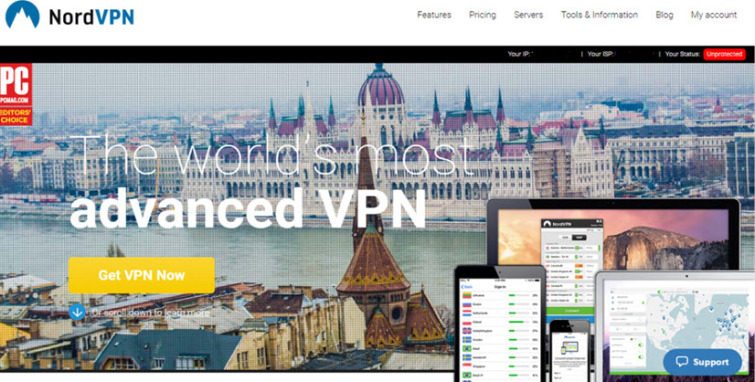 With a VPN you can regain access to geo-restricted websites all over the world. A VPN for iPhone lets you ‘spoof’ your IP address to a remote location. That means that you can pretend to be anywhere that the VPN has a server, allowing you to see content that is restricted to that geo-location only. So, go ahead and check out our up-to-date five best iPhone VPN. We are confident that there is an ideal VPN in this list for all iPhone users, no matter what your specific needs are. IPVanish is based in the US (home of the NSA). Although that is far from ideal the VPN does provide a zero-logs policy, which does go a long way to protect users. The VPN software downloads quickly, is easy to use, and works well on an iPhone. VPN servers are located in over 60 countries, making it the perfect VPN for iPhone if you love streaming in HD. Encryption is really strong, and customer care is outstanding. The iOS app isn’t as featured as the Windows app, but it does have an auto-connect feature that protects your internet connection automatically. Do be aware, however, that this feature isn’t foolproof as it doesn’t work in cohorts with a killswitch on the iOS client. Peer to peer is allowed. You can also install the software on five simultaneous devices. Finally, the company also offers a seven-day money back guarantee so that you can test the service. A truly reliable and trusted provider that tops our list of the best VPNs for iPhones. Get the best iPhone VPN now! ExpressVPN is a brilliant iPhone VPN. It is a little more expensive than IPVanish, but it also has servers in more places. The VPN software is excellent and is available on all platforms, including your iPhone. You may install it and use it on three simultaneous devices, which is great. It is a highly secure VPN with a proven track record for providing anonymity for its users. It is also a well loved and respected provider. Servers are world-class and provide excellent connection speeds. Although it does keep a few connection logs, no usage logs (the ones that would give away what websites you visited) are kept. All in all an excellent VPN for iPhone. This service also offers a 30-day money back guarantee so that you can test it – risk free. NordVPN is the perfect VPN for those iPhone users who prefer more extreme levels of security. This provider offers specialist features such as VPN into Tor, double encryption, and a killswitch. It also offers robust encryption all around. Add to that a zero logs policy and you start to see why this is such a great iPhone VPN. You may install it on three simultaneous devices, and connection speeds are also really fast. The VPN software downloads quickly and is really easy to use. Peer to peer is allowed and customer care is also fantastic. You can pay for Ivacy in a number of ways. Paypal and all major credit cards are accepted, while Bitcoin is also an option through BitPay and CoinPayments. Cashu, Alipay, Yandex and other payment methods are also available through Paymentwall. I had hoped to see some changes with HideMyAss since our last review, especially in the privacy department. While performance-wise we didn’t experience any issues, the recent negative headlines surrounding HMA should make anyone pause before signing up to their service. HideMyAss started in 2005, originating as a free proxy service, and has now grown to become one of the largest VPN providers around. Unfortunately, a black mark on the service is that it is based in the UK and is subject to mandatory logging and GCHQ monitoring. In 2017 we are constantly faced with growing security problems. Worldwide, there is an explosion of hacking spreading through society. Even though Apple products have often been thought of as highly secure when compared to those from other manufacturers, these days things aren’t so clear-cut. Firstly, governments and intelligence agencies are keen on spying on citizens. A growth in terrorism and an exponentially growing population is making governments keen on snooping. Furthermore, governments are choosing to work more and more closely with copyright holders to an attempt to stop pirates. Piracy is a crime, and law enforcement are choosing to force Internet Service Providers (ISPs) worldwide to help to catch those and other law breakers. Arguably, the post-Snowden world we live in has actually allowed governments to bring their dirty spying habits into the limelight. What was once illegal hacking of citizens is now being made legal by legislation like the UK’s “Snoopers Charter.” In the US, the NSA is still a concern – and it is highly unlikely that they plan to stop hacking citizens any time soon. Add to that constant data breaches and hacking scandals that are making victims of everyone from celebrities to businesses and regular folks at home. Also consider foreign governments and terrorist organizations, as well as lone wolf hackers, and you have quite the mega-list of reasons to want to make your iPhone secure with a VPN! These risks increase greatly when you’re connected to a public WiFi network. No matter whether you are in a restaurant, a coffee shop, a hotel or an airport, criminals can easily see what you are doing on the public Wi-Fi. Even on a company’s WiFi or that of an education institution, fellow colleagues or students could theoretically hack you. Intercepting your web data on a public WiFi allows cyber criminals to steal your passwords and logins. It even leaves you open to having your PayPal or credit card details stolen. A VPN is a fantastic solution for these issues. Encrypting your web data as you create it stops anyone from spying on you. Your data is safe from all snooping, whether that be cyber criminals, your ISP, your landlord, employer, school or government. Unrivaled levels of anonymity and digital privacy! In addition to improved Internet security, people love using VPN services for unblocking geo-restricted websites. Censorship notices are highly frustrating, and nobody likes being faced with a ‘sorry the content you are trying to access is restricted where you live’ notice. With a VPN, filters imposed by your ISP, landlord, network administrators (and employers), school or the government can be completely bypassed. Their censorship is useless if you spoof your IP address to a remote location. Maybe you want to watch a sports tournament that is unavailable where you live? Simply spoof your IP address to the country that is showing it and watch their geo-locked streams. Perhaps you want to watch the larger US catalog of Netflix titles? Or maybe you want to watch BBC iPlayer UK-only shows? With a VPN this is all possible. In addition, with a VPN you can watch copyrighted content without reduced worry that you may later get in trouble. Watching copyright controlled content is illegal, and you could be prosecuted. With a VPN, however, it is far harder for your ISP, and therefore law enforcement and copyright holders – to tell what you are doing online. If they nobody can tell what you are doing online, you are more to do as you please. It is true that many people do use VPNs to watch copyrighted content and to unblock geo-restricted websites. However, even though VPNs will help you to do these things, the team here at BestVPNReviewz.com can not officially endorse such practices. What you do online is your choice, and we are only here to inform you about what is available. As such, this article is for education purposes. If you choose to use a VPN to securely watch copyrighted content, you do so at your own risk! With a VPN, however, you really are making yourself as anonymous as is humanly possible. Certainly with a VPN you are more secure online than 99% of the people living in your town or city. Of this, there is no doubt! What VPN encryption protocol should I use on iPhone? PPTP – Provides the least security and privacy but is fast. L2TP/IPsec – Stronger security than PP2P but still not failsafe. OpenVPN – An open source and highly secure protocol – that is military grade and is our recommended protocol here at BestVPN.com. Open source means its code can be independently checked for backdoors (which is checked regularly). Sadly, many VPNs don’t offer OpenVPN in their VPN apps for iOS – so you may have to manually download and configure it. This, however, isn’t the case with any of the VPNs for iPhone in our list. All of our chosen VPNs for this article have excellent VPN software for iPhone that offers OpenVPN. Furthermore, if you need to you can easily download and use OpenVPN Connect. New iPhones come with PPTP or L2TP straight out of the box. Some even run OpenVPN. For this reason head to the Settings Menu > General > Network, and scroll down to VPN towards the bottom of the Network menu. Remember, you can always download OpenVPN Connect (from the link above) if it isn’t built into your device. OpenVPN is our recommended encryption protocol here at BestVPN.com – so please make the effort to get it set up if you truly wish to have strong internet security when using your VPN. We also advise for you to look at our detailed guide on PPTP vs L2TP vs OpenVPN vs IKEv2 to get yourself fully up to speed on the differences between the protocols. 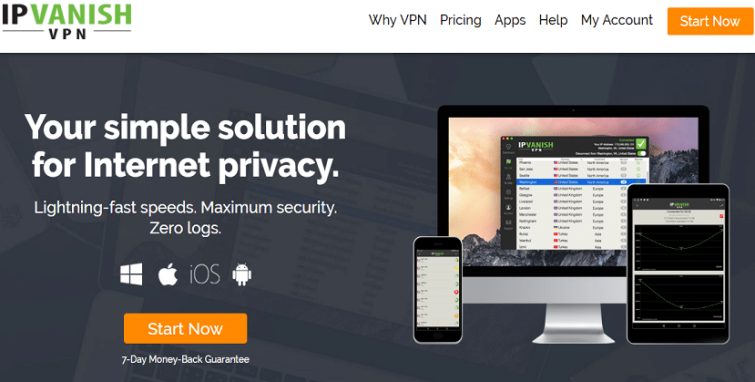 In this article, we have shown you the 5 best VPNs for iPhones. All of the VPNs have been specifically selected because they work best with an iPhone. We understand that with over 800 different VPNs on the market choosing can be a bit of a nightmare. Not every VPN is secure. In fact, some would be a total waste of your money. All of the VPNs for iPhones in this article have excellent VPN servers located all over the world. They all provide high levels of security and treat data in a reliable and secure manner. In addition, all of our recommended VPNs provide high-speed connections – perfect for streaming in HD – should you want to. With everything taken care of by the team here at BestVPN.com, all you need to do is take a good look at the VPN providers and make a decision about which one you prefer. Although IPVanish is our favorite VPN for iPhone – all of the VPNs that we have selected in this article are world class and will do an excellent job of protecting your iPhone in 2017. Please don’t hesitate to contact us if there is anything you would like to know. Best Android VPN 2018 ! Fastest Android VPN Service Provider!